The best Lake Front View on the Abbotts Creek section of High Rock Lake. Level lot, large family room and big Kitchen/Dining open area with fireplace. 2 Bedrooms, 2 Baths, den, & Master bedroom. Ready to move in. 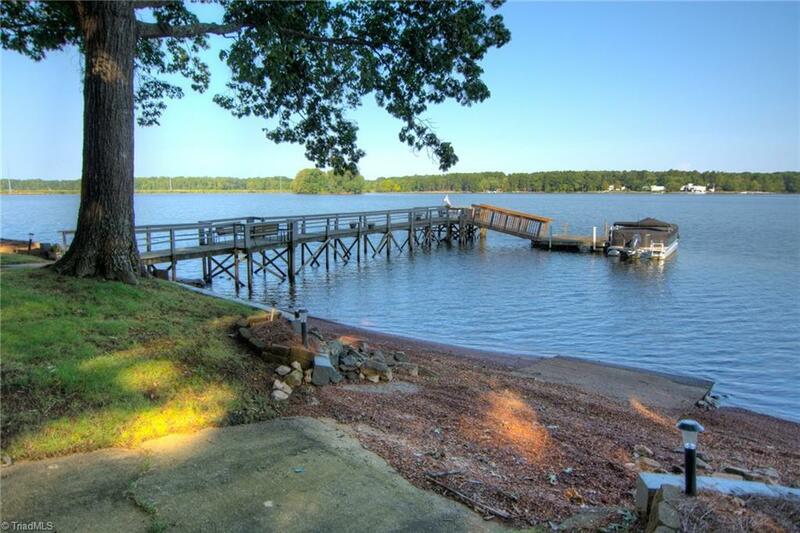 Views, views, views of High Rock Lake, level lot, big pier with floater. Also features lake irrigation for the yard. The outbuilding has a tanning bed, and also an outside refrigerator, freezer, and gas range for those great outside family and friends get togethers. Call today!